Wait, it's over just like that? In the past few years Kanye has went easily from lovable eccentric to annoying, to very harmful annoying person. When Kanye took up a pro Trump opinion, promoting the likes of Candace Owens, who tried to provide an incorrect alibi for the pipe bomber, and taking photos next to white supremacists. This all culminated in a largely awful and unwanted rant on SNL where he called his red MAGA cap a “Superman cape”, insulted the show, and mostly focused in how his words were being interpreted rather than any of the matters involving the camps full of children separated from their parents, the Charlottesville rallies, all of the hate speech and– yeah. All that stuff. Oh yeah. He also pitched a weird plane to the president. 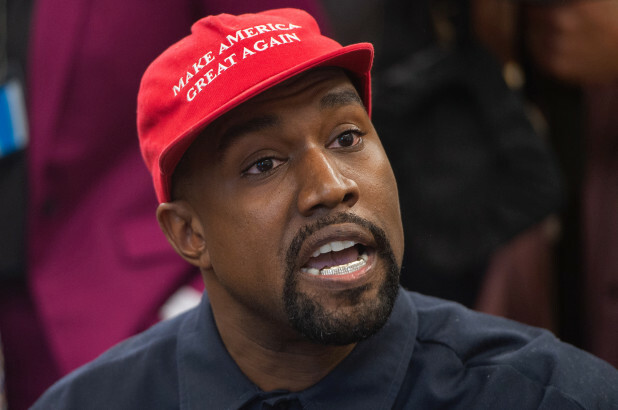 Well it seems that Kanye has realized just how bad the effects of his actions have been, and has announced he is separating himself from politics following the Candace Owens trying to associate him, without his approval, with the “Blexit” movement/brand she is running — encouraging black people to leave the Democratic party. Of course, the support of such matters such as prison and gun reform are in direct opposition to Donald Trump who trips over himself to defend guns and cites himself as a “law and order” president, which tends to just mean filling our prisons with light offenders who are often non white. The “protecting their children from violence and war” words also seem to be pro immigration, something Trump has a very nationalist (ahem) stance on as he attempts to repeal the 14th amendment via executive order. The association with Candace Owens comes from Owens using Kanye’s name without his permission to support a movement encourage black people to become Republicans. We are yet to see what comes from Kanye next, but for goodness sake’s man! Read up on the issues before you talk about them! If you felt all these issues strongly, you should know there’s never been an American president more against them! Kanye was too focused on how people perceived him being shocking rather than how he is being shocking. Hopefully he uses his platform to speak out on key issues, and maybe we can all uncancel him soon. What do you think of Kanye West’s about face? Let us know in the comments or on Twitter at @WhatsTrending. VIDEO: WTF IS GOING ON With the Cardi B v Nicki Minaj Feud?! ?